Remember the Poodle National I went to at Easter and the dogs I groomed there? Well, as I scissored I collected the hair and, instead of putting it in the bin, I felted it! Did you know that poodle hair felts? Well, it does. I know someone who weaves it as well. 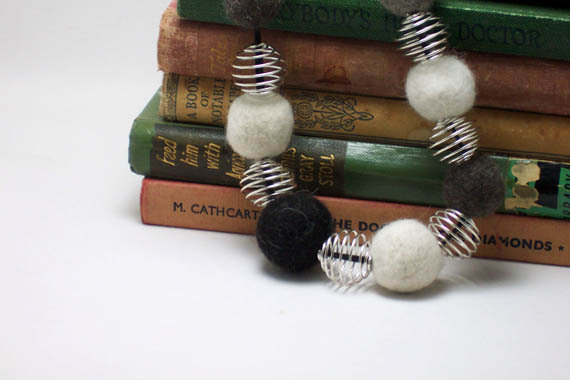 Anyway, I’ve never tried this before but a couple of years ago I did a workshop on wet felting and I love felt ball jewelery, so the decision to try it was easy. The dogs I groomed at the show were all different colours: a black girl called Tango, a blue girl called Jackie, a blue boy called Tyson, a silver girl called Britany and a white girl called Zena. The necklace has a felt ball or two from each poodle I groomed. 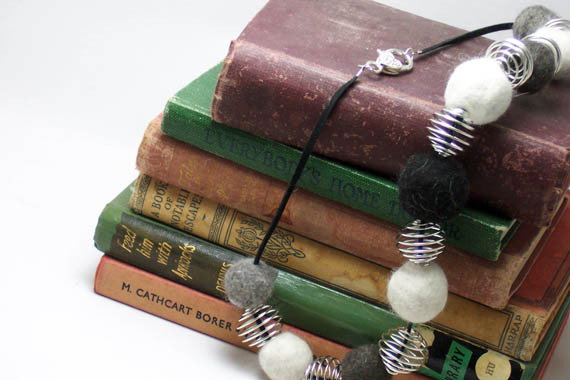 Luckily I’d made plenty of felt balls so I was able to make a necklace just like this for Iris. Hers doesn’t include a black felt ball since the black poodle belonged to someone else. I think this is the best way to honour and remember a poodle. I wish I’d made felt balls from Pagan, Scooter and Billybear’s coats. I will from Montana and Romeo now that I’ve done this, that way I will always keep something of them with me. This entry was posted in Craft, Dogs, family by zefiart. Bookmark the permalink. I love the way they look! 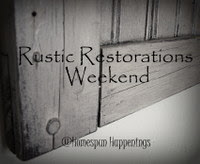 Thank you for linking up with Rustic Restorations Weekend! How interesting. My neighbor has knitted a sweater from dog hair before. The necklace is really pretty. Thank you for sharing it at to What We Accomplished Wednesdays. Have a great week!